Next month, the fifth round of the Extreme Sailing Series is coming to Cardiff Bay. This is an international event, constituting sailing’s version of Formula 1. Exceptionally fast catamarans, sailed by some of the best racers in the world will compete in close proximity to the centre of cities and harbours, with view-points for vast numbers of spectators. Some of the world’s most successful sailors take part in this international series of races, including Britain’s own Sir Ben Ainslie. The boats are purpose built 40ft long catamarans of light weight carbon fibre and are very powerful. They can sail at speeds at more than 65km per hour (just over 40 miles per hour). As with all catamarans, they sail best with one hull just touching the water or just out of the water. It is possible to be literally only metres away watching this kind of sailing, which is completely different from the off shore sailing of traditional yacht racing. Cardiff Bay will host the event this August as part of its Cardiff Harbour Festival – using Europe’s biggest waterside development as its staging ground. The Americas Cup is ultimately, by reputation at least, the pinnacle of yacht racing, but the Touring Championships are, in comparable terms, the cricket ‘world cup’ to a home Ashes series – a huge competition in its own right, but not steeped in the same tradition and history. A few years ago these yachts came and provided an incredible spectacle in Plymouth harbour, which is one of the largest natural harbours in the world. Now, the same circus is coming to Cardiff. These yachts sail in such close confined quarters that they have been known to crash spectacularly as well as pitch pole. With each boat costing circa £300,000, there is much at stake and large corporations like Red Bull often provide the sponsorship. This race series is sponsored by Land Rover and will take place in Cardiff over the weekend of August 22nd – 25th. 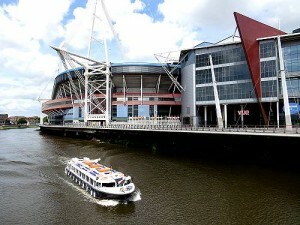 Cardiff is a vibrant city and a great place to live, with events of this ilk and magnitude happening frequently. If you are moving to Cardiff, or just want to chat with a local expert, call our surveyor now on 029 2193 2193.